Looking for Christmas fun? Looking for things to do in Racine? Milwaukee Food & City Tours is thrilled to offer the Racine Kriss Kringle Bakery Bus Tour! Featured recently in The Journal Times, we are excited to share that tickets are available for online purchase HERE. Residents of Racine have long known the seduction of kringle and other pastries lovingly produced by the city’s Danish bakeries. People near and far can learn more about such edible delights, as well as the cultural traditions that surround them and other ethnic baked goods, during new Kriss Kringle Racine Bakery Bus tours. These tours — which visit several area bakeries, a chocolate shop and other locations — are a recent addition to the varied list of bus and walking tours offered by the Milwaukee Food & City Tours company. Founded in 2008 by Theresa Nemetz and her husband Wade, Milwaukee Food & City Tours began as a hobby for the Milwaukee couple and soon grew into a successful business that is now full-time work for both. 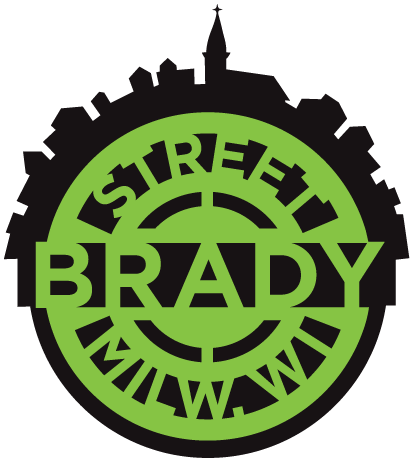 “We started with a Brady Street tour, and that first year I was leading all the tours,” Theresa Nemetz said. It wasn’t long, though, before people began asking about tours of other areas, she said. And because she and Wade always value the feedback they get from their customers, they began adding new tours the following year. 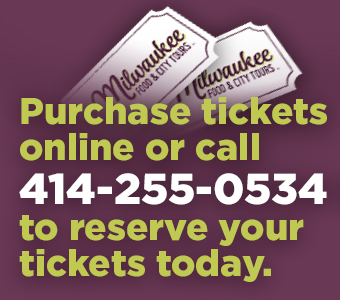 Today, Milwaukee Food & City Tours lists more than 15 different walking and bus tours on its website (milwaukeefoodtours.com), as well as Photo Walks and private and group tour options. Some focus on the culinary attributes of a specific neighborhood or suburb of Milwaukee — from the Historic Third Ward and Bay View to Wauwatosa and Cedarburg — while others are organized around a specific food type, such as the Milwaukee Pizza Bus Tour, the Milwaukee Fish Fry Tour and the Custard Capital of the World Custard Tour. There are also special seasonal tours, including the Ghouls & Spirits Adult Trick-or-Treat Bus Tour, and unusual combination tours, such as Churches & Chocolates. The idea to branch out to Racine was sparked by two of the company’s 18 tour guides who live in Racine — Karen Fetherston and Marie Frederick. “They had been talking to me about Racine for years, telling me what a great community it is and how it would be perfect for a tour,” Nemetz said. Their knowledge of and enthusiasm for the Belle City, combined with the curiosity many tour-goers from Illinois had expressed about Racine convinced her to add kringle tours to the company’s offerings. “Our Christmas Around Milwaukee Bakery Bus is very popular and we saw Racine as a great opportunity to go into a another community,” Nemetz said. About three hours long, the Kriss Kringle tours feature six stops, including Racine’s Danish bakeries, where tour-goers can get a behind-the-scenes look at kringle-making. Also included are stories of ethnic holiday traditions, the city’s architectural heritage and cultural history — and tour-goers are encouraged to come dressed in their holiday attire for these festive, seasonal outings. Participants get to sample a variety of baked goods along the way — kringle, tortes, cookies and other signature items. And the samples are substantial servings, Fetherston said. “No one will leave the tour hungry,” she said. Some tour-goers bring bags along so that they can take goodies home with them, she said. And, of course, everyone is welcome to purchase additional items along the way, if they so choose. Fetherston trained to become a tour guide after attending a food tour in Milwaukee with her father and finding she loved it. “I thought to myself, ‘this would be a really fun job,’ ” she said, noting that she calls it her “jobby” because she’d been looking for a hobby to do after her children left for college. Also a full-time employee of Lutheran Social Services, Fetherston said she enjoys the research involved in being a tour guide and has learned a lot about the community she's lived in for 20-plus years. Milwaukee Food & City Tours also offers private tours in Racine, such as the one attended by members of the Prospect Heights Park District’s Seniors on the Go! group, from Illinois, earlier this month. Fetherston led the group on a tour of several Danish bakeries, a Mexican bakery and a chocolate shop, and they had lunch at the Reefpoint Brew House. And for participants like Sharon Steffey — a member of the group who has attended numerous tours with Milwaukee Food & City Tours — it is more than the food that draws her to go. Another tour-goer, Mary Olson, said she appreciated the great demonstration that Don Hutchinson, co-owner of Larsen’s Bakery, gave in the bakery’s kitchen during the tour. “The way he explained things was very interesting,” she said.